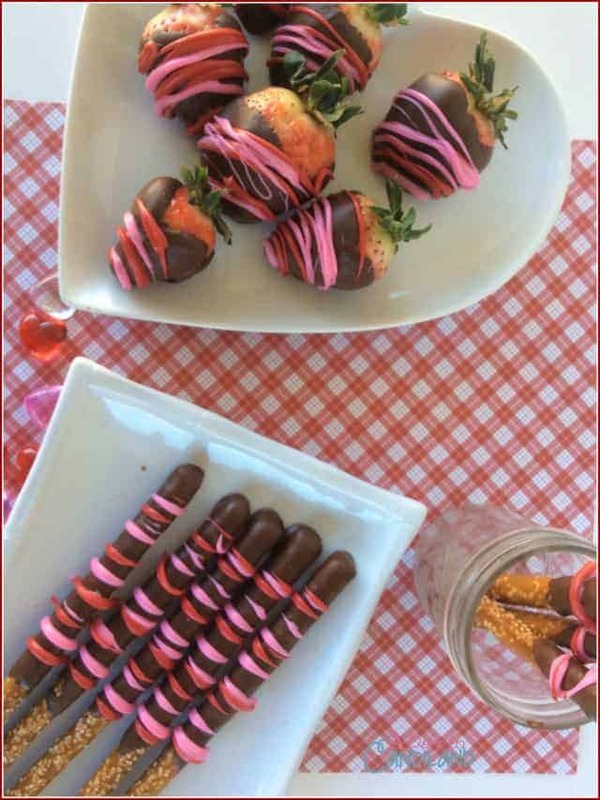 Today I am sharing Chocolate Dipped and Decorated Pretzels and Strawberries. Because these are the things that make me smile. You can’t pass up one of these pretzels or the strawberries. There is something about them that draws you in. 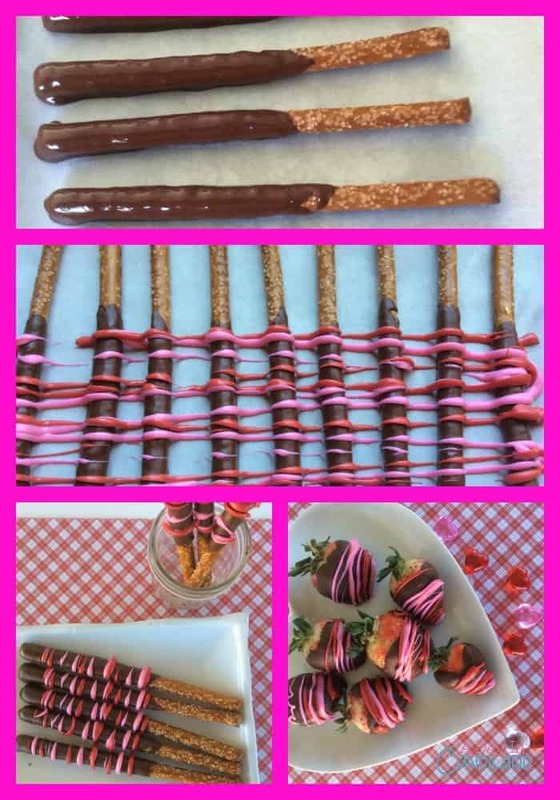 Chocolate dipped pretzels are a big hit at my daughters school. 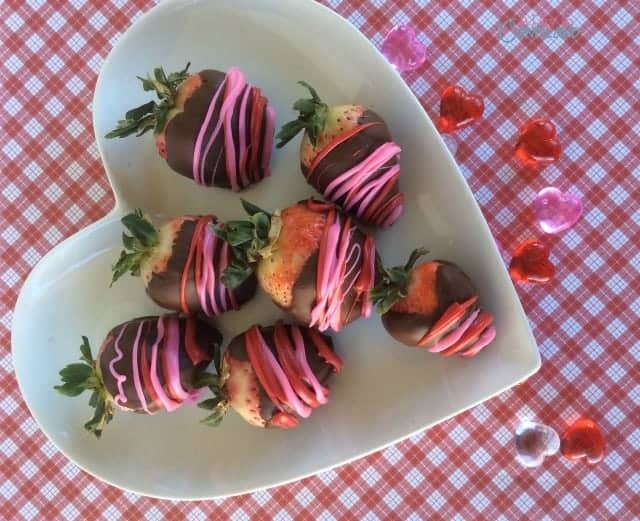 One of the moms from her class loves to make them for every party. And believe me there is none left when it’s over. I guess the taste of sweet and salty, plus how pretty they look is a great combination. I decided to make them for my older kids at home today, since they don’t really participate in school parties anymore. 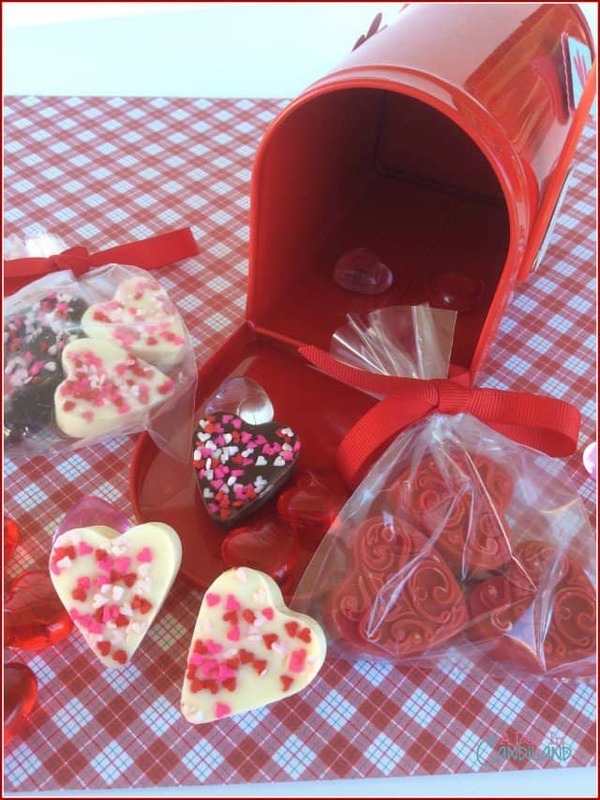 I started out with some cute heart candies that I made using some Wilton molds and candy melts. I found this cute mailbox at Target in the Dollar Spot section, and also a few stickers to put on it. Then I wrapped up a few of the hearts and tied them up with a ribbon. Then I made the pretzels. They are so easy, just melt some chocolate chips in a heat proof microwave bowl. I like to do it on 50% power for 1 minute at first then 30 second intervals. It doesn’t take very long. Make sure you stir after each 30 seconds, it should melt quickly. Then I dipped the pretzel and using a fork, made sure I just the pretzel all covered. Then I set them on waxed paper on a cookie sheet to harden. Then I went onto the Strawberries. I did the same thing as the pretzels. It’s nice to do a few different things once you start melting chocolate. Once they were all finished, I started with the pink and red drizzle. I filled some piping bags with each of the colors and then microwaved them on 50% for 1 minute 30 seconds. I then needed the candy melts into the bag. I cut off the tip of the bag and then drizzled them back and forth. Then I let them dry for about 30 minutes. Since my anniversary is this weekend, I saved the strawberries and put them away. I let the kids eat the pretzels as soon as I was done with pictures. These are all perfect for kids parties and you can package them up and hand them out. Or plate them up and serve them at your next holiday party. pretty and delicious (and easy, shhh!) Gotta love it. Thanks for sharing on Tasty Tuesdays. Hope to see you next week. Oh yummy!!! Thank-you for linking up to Bloggers Brags Pinterest Party. I have pinned this to our board!